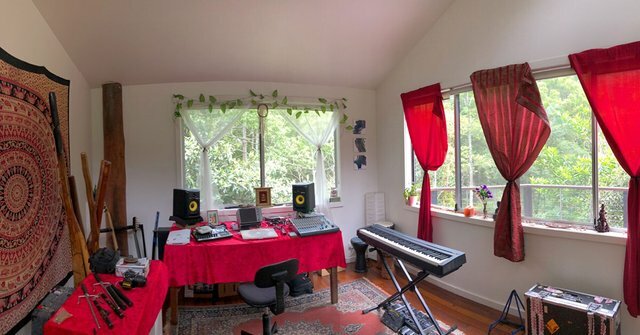 My new eco, carbon-neutral music and film production studio deep in the rainforest is slowly coming to form. Yes. There’s sai swords and nunchakus on the left table. You just never know when NINJA skills are needed for a recording or required for a mix! That's look like a cool place to work Nathan. Looking forward to the full 360, live action, panoramic tour of your new home. that looks cool fo sure..